“My point of doing this is kind of a selfish thing but there may be some kids here like I was that this gives them that spark, that interest — then they may want to grow up and do this someday, too,” he said. 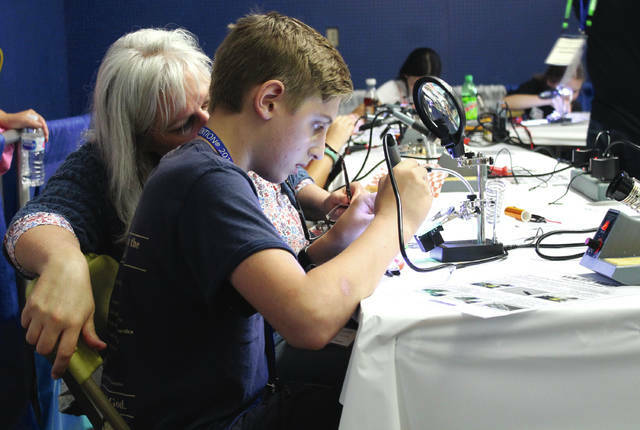 https://www.xeniagazette.com/wp-content/uploads/sites/32/2018/05/web1_Mackeys.jpgAnna Bolton | Greene County News Allison Mackey watches as her son Isaiah Mackey from Hanover, Indiana practices soddering in the Youth Tech area of Hamvention May 18. 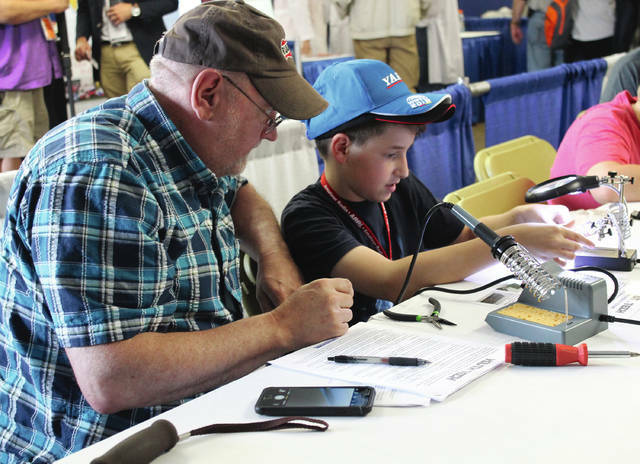 Isaiah’s dad is a licensed amateur radio operator; this was their family’s first time at Hamvention. https://www.xeniagazette.com/wp-content/uploads/sites/32/2018/05/web1_YellowHat.jpgGrace Lea, KM4TXT, works at the youth table. Her mom and sister attended Hamvention as well. 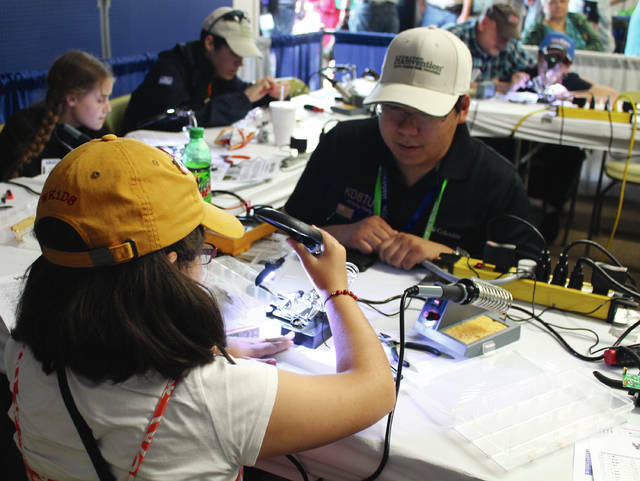 https://www.xeniagazette.com/wp-content/uploads/sites/32/2018/05/web1_YouthTech.jpgThe Youth Tech area provided kids ages 9-18 with soddering tools and technology kits to help teach useful skills related to amateur radio.